Ibuprofen vs. Naproxen: What’s the Difference? 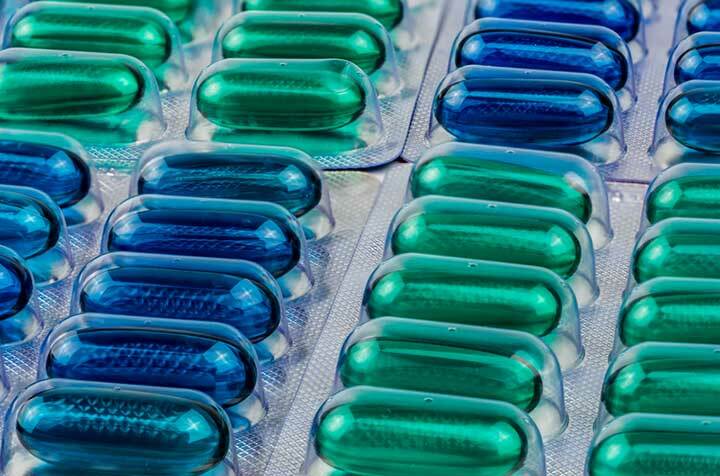 The comparison of ibuprofen vs. naproxen is largely dependent upon how often you want to take your medicines and what other drugs you may be taking. Both ibuprofen and naproxen have a lower risk of bleeding compared to other NSAIDs, but both should be taken with food or milk to reduce the risk of stomach upset. Ibuprofen (Motrin, Advil) and naproxen (Aleve) are both available under generic/store-brand formulations, as well as their original brand names. Although some people do report that generics work differently for them than brand drugs, the FDA requires generic formulations to perform similarly to brands. They acknowledge a possible slight variation at times, just as between batches of the brand medicine, but the FDA monitors them closely. Any undesired effects should be reported to the FDA. According to Wikipedia, ibuprofen was discovered in 1961 by Stewart Adams and initially marketed as Brufen. It was first sold in 1969 in the United Kingdom and in the United States in 1974. Ibuprofen is on the World Health Organization’s List of Essential Medicines, the most effective and safe medicines needed in a health system. The company Syntex first marketed naproxen in 1976 as the prescription drug Naprosyn. They sold naproxen sodium under the brand name Anaprox in 1980. It remains a prescription-only drug in much of the world. In the United States, however, the FDA approved it as an over-the-counter (OTC) drug in 1994. One decision-maker when it comes to ibuprofen vs. naproxen may be how long the pain relief is expected to last. Naproxen lasts longer than ibuprofen. The half-life of ibuprofen is two to four hours, while naproxen is 12 to 17 hours. (Half-life is when half the original dose is still circulating in your bloodstream.) In layman’s terms, you take ibuprofen once every four to six hours, while naproxen is only repeated once every eight to 12 hours. According to iodine.com, ibuprofen relieves pain, fever, and swelling. Naproxen is similar, relieving pain, fever, and inflammation. Ibuprofen is available for children, but naproxen is not. “Be careful not to take more than one product that contains an NSAID at a time,” says Karen M. Mahoney, M.D., deputy director of Food and Drug Administration (FDA) Division of Nonprescription Drug Products. Taking two NSAIDs together can increase the risk of side effects and serious adverse events. For that reason, it can be wise to only have one NSAID in your medicine chest. It would avoid you reaching for the wrong bottle when you need a second dose. Naproxen comes with a list of drugs it can interact with, which means if you choose naproxen as your go-to pain reliever, you must discuss its use with any physician prescribing you drugs. Both ibuprofen and naproxen have a lower risk of bleeding compared to other NSAIDs, but both should be taken with food or milk to reduce the risk of stomach upset. Risks are similar, and neither should be taken during pregnancy. People who have cardiovascular disease, particularly those who recently had a heart attack or cardiac bypass surgery, are at the greatest risk for cardiovascular adverse events associated with NSAIDs, warns the FDA. Physicians frequently recommend acetaminophen as an OTC pain reliever for patients with cardiovascular issues. “Prostaglandins are produced within the body’s cells by the enzyme cyclooxygenase (COX),” explains medicinenet.com. “There are two COX enzymes, COX-1 and COX-2. Both enzymes produce prostaglandins that promote inflammation, pain, and fever. However, only COX-1 produces prostaglandins that support platelets and protect the stomach. NSAIDs block the COX enzymes and reduce prostaglandins throughout the body. As a consequence, ongoing inflammation, pain, and fever are reduced. Since the prostaglandins that protect the stomach and support platelets and blood clotting also are reduced, NSAIDs can cause ulcers in the stomach and promote bleeding.” This bleeding risk is why some physicians prefer to recommend acetaminophen. A 1984 study by The Manchester General Practitioner Group looked at 226 patients with osteoarthritis. The participants were randomly assigned to take either naproxen or ibuprofen. Both drugs reduced stiffness, pain, and overall disease severity. However, naproxen was found to be superior to ibuprofen in relieving resting pain, movement pain, night pain, and interference with daily activities. The study found 45 patients had side-effects (mainly mild gastrointestinal problems) from naproxen and 30 with ibuprofen (11 were patients who had side effects on both drugs). One patient had a gastrointestinal bleed while taking naproxen. Overall treatment preference significantly favored naproxen, concluded the researchers. a heart attack, alcohol, anti inflammatory, anti inflammatory drugs, betaine hcl, blood pressure, blood pressure medications, blood thinners, cardiovascular, cardiovascular disease, children, cluster headaches, food, gastrointestinal, gastrointestinal problems, headaches, health, heart attack, heartburn, heartburn remedies, inflammation, iodine, low dose aspirin, migraines, milk, natural heartburn, non steroidal anti inflammatory drugs, nsaids, osteoarthritis, pain, pain relief, pain relievers, report, side effects, stress, ulcers. I personally can’t take any of them. They conflict with too many of my medications. The dosing is different people. With persistent headache, under doctors care I get the best results with 1 200mg Ibuprofin and 1 Excedrin Migraine every 6 hours as needed. so that’s ibuprofen, acetaminophen. aspirin and caffeine. Ibuprofen listed both times sure a simple error but confusing nonetheless. Hello, thanks for pointing out the error. The second sentence should say “aspirin” instead of ibuprofen. It has been corrected. I have found that naproxen helps me with my pain better. Thank you for this informative article. I have used ibuprofen and naproxen, and both work for headaches and minor aches. In my case, Naproxen works better at relieving severe fibromyalgia pain, stiffness, and overnight pain. I have a non surgical musculoskeletal condition that does me in. The pain is horrid and the spasms take me out. NSAIDS are completely useless. I’ve even been prescribed steroids to no avail. For years since the condition became so bad, my doctor would prescribe hydrocodone and soma compound and I got relief. It would take me 2 or 3 days to recover. With my new younger doctor that won’t prescribe those drugs thanks to all the addicts, it takes me about 10 days of incredible pain just to get to the bathroom. Next time my back goes out, I’ll probably buy the hydrocodone off the street for 25 bucks s pill, I always used 10 so that will cost me 250 bucks. Love this country, getting punished for the bad deeds of others. Go to a pain management clinic. Yes, sadly you may be made to feel like an addict in how they treat you and the dispensing of this helpful, albeit highly addictive medication. It is a far better option than committing a crime. Another medical option may be gabapentin–not as pain numbing but an effective substitute for many. And, lastly, there is definitely something to be said for a holistic approach to pain: incorporating yoga-for-pain; meditation; aromatherapies. They wont cure your pain but sometimes taking you from a 10 to a 7 is better than nothing. I wish you well, Darlin. I thought you might be interested in this article on https://universityhealthnews.com: Ibuprofen vs. Naproxen: What's the Difference?